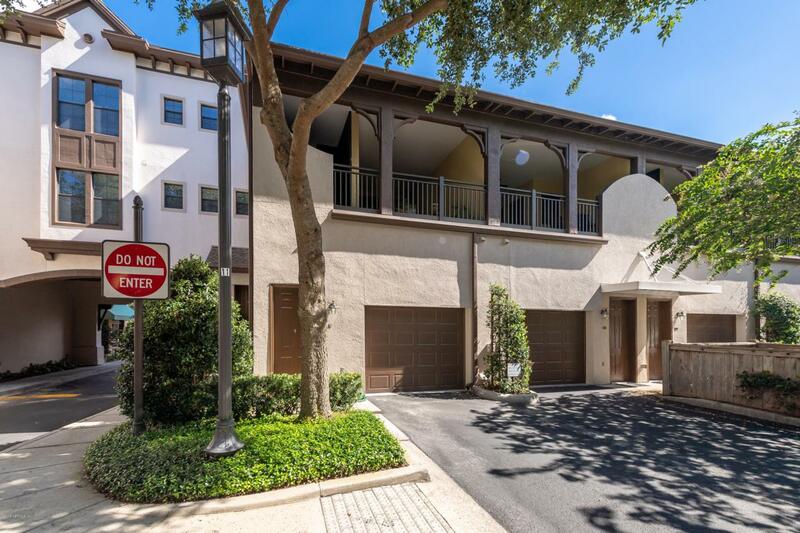 This gorgeous 3 story condo offers 3 bedrooms & 3 full baths. 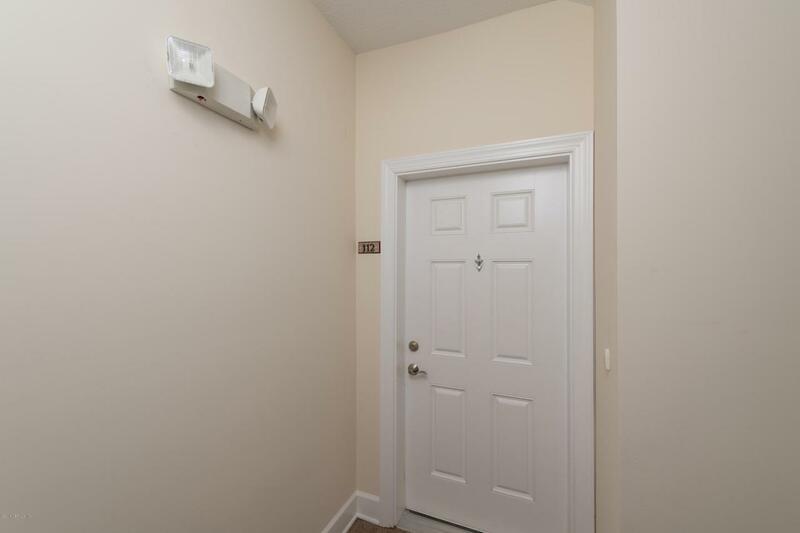 Complete with hardwood floors, new AC unit, granite countertops, stainless steel appliances & breakfast bar. Relax outdoors on your spacious covered balcony & enjoy views of the retail shops and restaurants from your guest & master bedrooms. Unique dual entryways allow for easy access to shops. 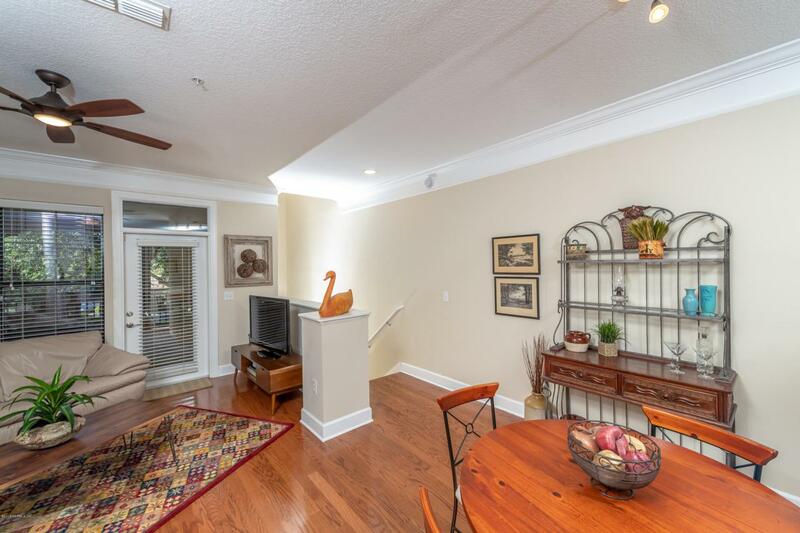 Oversized 1 car attached garage with overhead storage and under staircase storage closet. Each bedroom has a private en suite bath & walk-in closet.This is the largest and is only one of two 3 bedroom floor plans in Tapestry Park with a 20' ceiling & a spiral staircase in the master leading up to a small loft. Enjoy low maintenance living in exclusive Tapestry Park, a 52 unit community surrounded by specialty retail shops & restaurantEnjoy low maintenance living in exclusive Tapestry Park, a 52 unit community surrounded by specialty retail shops & restaurants. Located in the heart of everything Jacksonville has to offer. 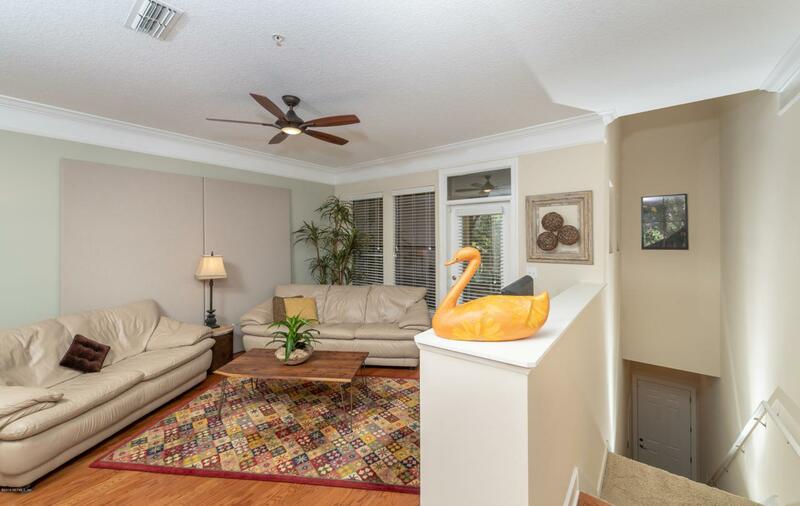 It's close to campus & just 1.5 miles from the St. Johns Town Center. This is the perfect place to call home.